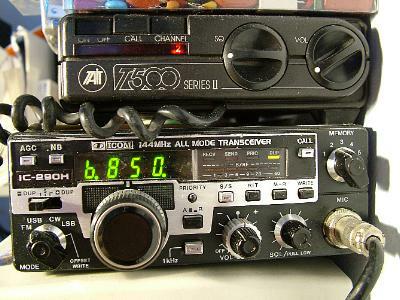 I obtained my Amateur Radio Licence in 1980 and operated from Dunedin, New Zealand as ZL4TBN. 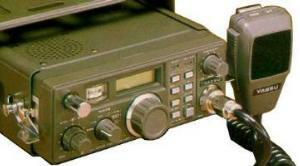 I was active on the amateur bands from 50MHz to 1296MHz. I had started to dabble with Gunn oscillators on 10 GHz and had built up the beginings of a wideband FM system. Not having anyone else to continue experiments with, the project didn't progress much further. Moving to Australia in 2000, I obtained a VK licence and became VK2TDN. Living in an apartment block in Sydney has cramped my HF and 6m activities severely with nowhere to put up antennae. Six metres (50 MHz) was my main DX band and over the the 80's and 90's I worked many stations around ZL, VK and other countries around the Pacific. The longest distance was to ZF1RC, Roger, on Caymen Is. in the western Caribbean. My start was on a 2m to 6m transverter putting out 15W, after a couple of years advancing to a Yaesu FT690R, (2.5W) and external 30W amplifier then around 1990 upgraded to an Icom IC551D, (80W) which I still use. The 551D is getting very old now and has developed a few faults that I haven't been able to solve. With the uncertainty of amateurs retaining use of the 6m band I wont replace it with a standalone unit, more likely with a multiband rig like a IC 706 that has HF, 6m, 2m, and 70cm. In ZL, I was using a 6 ele. yagi on a 6 metre boom at about 8m off the ground a design from ARRL VHF manual 1972 ed. pg's 182-3, a brilliant performer!!. On 2m and 70 cm I am still quite active. In ZL, I had 2 x 10 ele 2m yagi's vert. polarised spaced 2m apart at 10 metres height. Between these yagi's there was a vertical Diamond X200 2m/70cm colinear, a great antenna, one I liked so much I purchased another one after getting back on the air in Sydney. Both antennae were fed individually with 2 x 12m lengths of Andrews 7/8 inch Heliax, wonderful lo-loss cable!!. From ZL4, I worked a number of VK2 stations on 2m SSB (144.100 MHz), with path distances around 2100 - 2200 km. I was able to do the same from VK2 for the first time in the summer season of Dec 2003 and Jan 2004, working ZL1,2 and 3 call areas using the Icom IC290H, 30W into the Diamond X200 vertical. 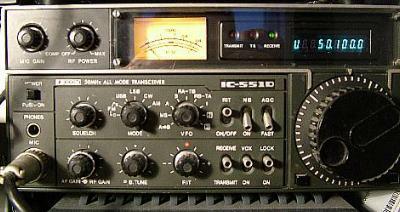 In VK2, on home base, I'm still using the 2metre IC 290H (All mode), its been a good rig giving me almost 20 years of service. On 70cm I am using a Tait T500 series II synthesised 2 channel xceiver. 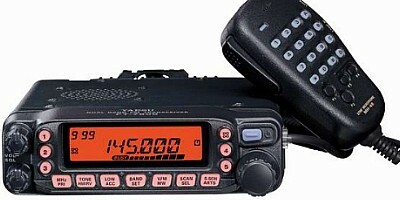 And for the mobile a Yaesu FT 90R dual band 2m/70cm FM transceiver. Over the last 25 years I have owned a number of HF rigs, but it wasn't till jan 1st 2004, when the CW requirement for VK operators was finally dropped, that I was able to transmit on HF. 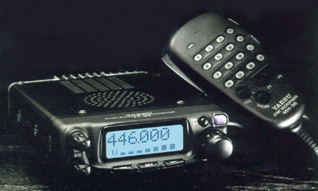 Some of the transceivers included an Icom 701, a Yaesu FT101E, FT 200 and finally the Kenwood TS120V. Unfortunately my activities on HF were short-lived. 40 metres was my band of choice and it was 8 short weeks before I got notification from the apartment block "body corporate" that I was causing TVI to some of the other residents. Thats what I get for living in a hi-density housing complex. Maybe one day I will be in a better location for HF operations.